Satkosia Tiger Reserve is straddled across a huge gorge, with the beautiful Mahanadi running through it. Established in 1976 as a wildlife sanctuary mainly for tigers, Satkosia Tiger Reserve is straddled across a huge gorge, with the river Mahanadi running through it. Scattered across four districts of Odisha such as Cuttack, Angul, Nayagarh and Boudh, the sprawling Satkosia Tiger Reserve covers an area of approximately 980 km2. Satkosia is a treasure trove of nature and wildlife, given its strategic geological location. It comprises of two sanctuaries: Satkosia Gorge Wildlife Sanctuary and Baisipalli Wildlife Sanctuary and is the meeting point of two bio-geographic Indian regions: Deccan Peninsula and Eastern Ghats. Satkosia is home to a healthy population of the big cat aka tigers because the climate there is favourable for them. Other mammals found here include the significant population of gharial and mugger crocodiles, and around 38 species of animals such as leopard, elephant, jackals, giant squirrels, gaur, sambar, spotted deer, mouse, deer, nilgai, turtle, snakes and many types of birds. The Odisha government has helped a great deal in ensuring that these animals move about freely in their natural habitat without fear of impending danger. It’s a beautiful sanctuary; one of the top places in Odisha if you want to have an immersive experience amidst nature. You can partake in activities like boating and camping; an absolute must if you want to experience the raw wilderness. Unlike other national parks, jeep safaris are prohibited lest they disturb the wildlife here. 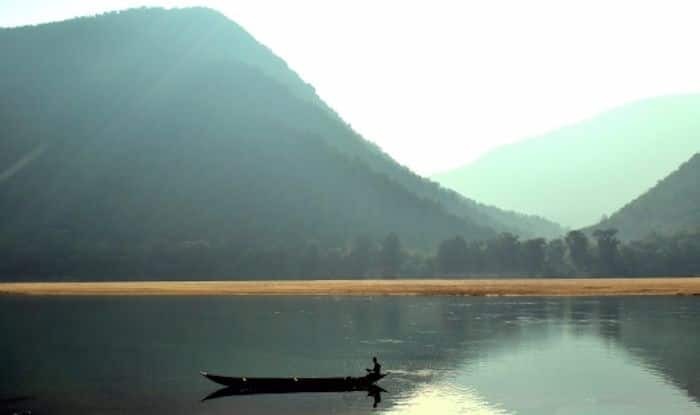 Whether you catch a surreal sunset on the blue waters of river Mahanadi, or admire the beauty of the 22km gorge cutting through the forest, or even indulge in some photography by virtue of it being such a rich place for a diverse range of flora and fauna, a trip to Satkosia Tiger Reserve can never truly go wrong. The nearest airport from here is in Bhubaneswar, about 125km away.